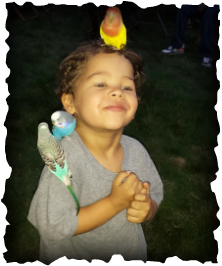 St Basils Parish Festival - That Guy with the Birds! July 23rd St Basils Parish Festival! Great evening in Carrick PA at the St Basils Parish Festival! Rides & Raffles open at 7 pm! fun you can have in just one evening! A few pictures from the Evening! We hope that everyone enjoyed an evening with "That Guy With The Birds" at the festival! Here are a few pictures of the fun learning!